Panela is an unrefined food product, typical in Ecuador and South America. It's basically a solid piece of pure sucrose obtained from the boiling, evaporation and cooling of sugarcane. 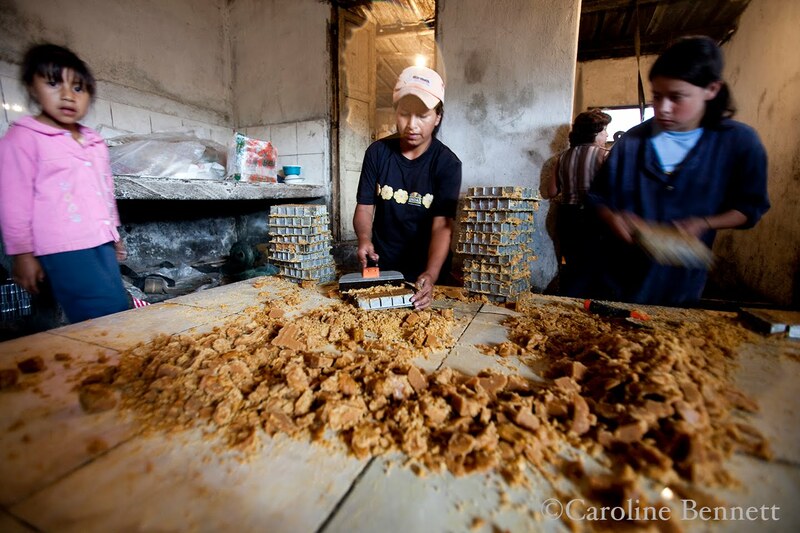 Fresh hot Panela is molded into solid cubes at a family farm in Nanegal, Ecuador. From capturing the cultural survival of some of the most ancient peoples on the planet to creating savvy strategies to get stories out there, Caroline uses photography and multimedia to shed light on social justice, cultural and environmental threats and survival, and the human condition. She seeks to empower actors working for the common good beyond providing access to high-impact visual storytelling by providing inventive communication strategies and a practical sphere for implementing interactive advocacy journalism that elevates awareness and inspires action. 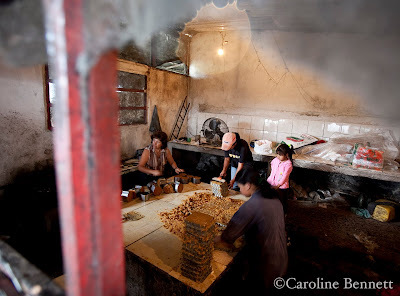 Caroline made her first camera out of a shoebox when she was six and continued chasing light into a professional career in Latin America and around the globe. She has won several awards for her work on a variety of projects for local and international NGOs, the United Nations, The New York Times, Independent World Report, Miami Herald, GlobalPost, Sveriges Natur, Mother Jones and The Wall Street Journal, and many others. She is currently based between San Francisco and the Amazon region. 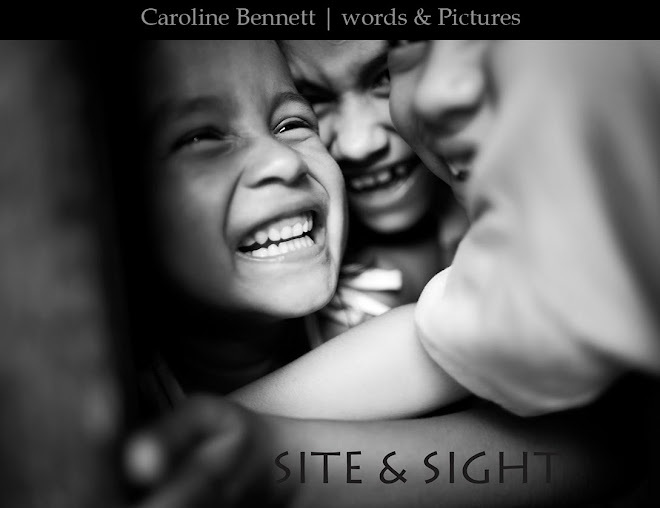 Welcome to Site & Sight, a space for all those images and thoughts that get lost in the shuffle. Thanks for checking me out, and please come back often to see what’s new in middle earth! Photography allows me to meld passions for storytelling, art, and the unraveling of the human condition through a tool I can take anywhere. With a camera, isolated moments are whirled into a fusion of truth and art and sent out into the world telling stories that simply would not have the same effect if told through any other medium. I used to think photography had to fall into one of two distinct categories: fine art or documentary. It seemed that 'artistic photography' forced one to turn reality into abstract, whereas 'photojournalism' made the abstract concrete. I feel pulled toward both realms, and seek to strike a balance between them in my work: to make images through a fine artist’s eye that tell powerful stories of quiet voices across the globe. ALL PHOTOGRAPHS AND TEXT CONTAINED ON THIS SITE ARE PROTECTED BY UNITED STATES AND INTERNATIONAL COPYRIGHT LAWS AND MAY NOT BE REPRODUCED, DISTRIBUTED, TRANSMITTED, DISPLAYED, PUBLISHED OR BROADCAST WITHOUT THE PRIOR WRITTEN PERMISSION OF CAROLINE BENNETT. BY ENTERING THIS SITE YOU ARE ACCEPTING THESE TERMS AND CONDITIONS. "There is no use trying, said Alice; one can't believe impossible things. I dare say you haven't had much practice, said the Queen. When I was your age, I always did it for half an hour a day. Why, sometimes I've believed as many as six impossible things before breakfast."